Thanks to Beverly Snodgrass, for this link to a short video showing beautiful and moving scenes from the place we call home: Creation Calls . Take a 6 minute video tour. Then today, Earth Day 2011, be sure to get outside if you can. 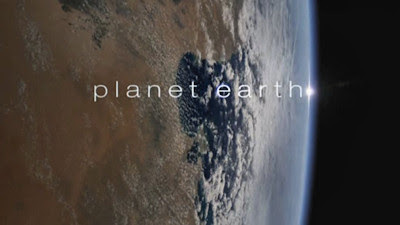 The visuals are from the BBC Planet Earth Series, the soundtrack is an original song by Brian Doerksen. The beauty of nature around us is always moving and inspiring. Happy Earth Day, Easter, and in celebration of however you connect to the living universe. In reverence, joy, awe, and gratitude. Awe-inspiring photography that highlights both the small- and large-scale wonders of the natural world around us. What better time to be reminded of them. I also borrowed the complete Planet Earth series from the library. 5 DVD set. Started viewing these, quite spectacular. Broke new ground in filming techniques and scope when it was first made. Probably will do separate post on this at later date. Available through Minuteman library system. Victory Garden Update - Peas are Up!